Home to Anchorage, Girdwood, And Portage Glacier, Southcentral Alaska is a diverse land of moderate rainfall and pleasant climate. The long days of summer make the Matanuska Valley the breadbasket of Alaska, and oversized fruits and vegetables are routinely produced there. Intermittent rain squalls are the rule along the coast, while the broad valleys farther inland typically enjoy sunnier weather. Craggy ranges line the valleys, with peaks that rise well above the timberline. Dense brush is prevalent at lower elevations, and a limited system of trails provides the best option for accessing the high country. Deep winter snows provide the moisture needed to maintain the region’s lush vegetation. Anchorage is the gateway for tourism and travel in Alaska. From its early days as a railroad camp in a spruce and birch forest, Anchorage has grown into Alaska’s largest city and the gateway for many visitors. Anchorage is a modern city in a beautiful setting laid out between the Chugach Mountains and Cook Inlet, and within sight of Mount McKinley, the continent’s tallest peak. The city has its share of asphalt and tall buildings, but nature still runs wild. Spawning salmon migrate up Anchorage’s streams, and anyone walking through the woods may come face to face with a moose.ost spectactular scenery. It’s 2.3 million acres include soaring cliffs, saw-tooth ridges shrouded in mists, sky-blue lakes, hanging valleys, countless waterfalls, bottomless saltwater fjords, and miles of glaciers. The monument is also home to a multitude of wildlife. Photograph until your hearts content with this natural, up close viewing of Alaska’s wildlife. Located on 140 acres of natural Alaska wilderness, just 30 minutes from downtown Anchorage, Alaska Wildlife Conservation Center opened to the public in 1993. On the shores of Turnagain Arm, surrounded by mountains and hanging glaciers, this is the perfect place to learn about Alaska wildlife. Drive through in the comfort of your own vehicle or walk through to photograph and learn about the animals, the park and the history of the Portage Valley area. The owner raised buffalo and elk as a hobby since 1984, and wildlife officials began putting orphaned moose in his care. Eventually his hobby transformed into the Wildlife Center that you see today. Injured or orphaned animals are regularly brought to the Wildlife Center for care. The center often provides care and housing for non-releasable birds. Seward’s harbor bustles with cruise ships, fishing charters and sailing opportunities. Wildlife cruises leave around the clock for Kenai Fjords National Park to look for whales, seals and sea lions. The Alaska SeaLife Center offers up-close viewing of marine mammals and sea birds. The Harding Icefield on nearby Exit Glacier is a great place to explore. Situated at the head of Resurrection Bay on the Kenai Peninsula, Seward is one of Alaska’s oldest and most scenic communities. Known as the “Gateway to Kenai Fjords National Park” Seward is a picturesque town located 126 miles south of Anchorage.. 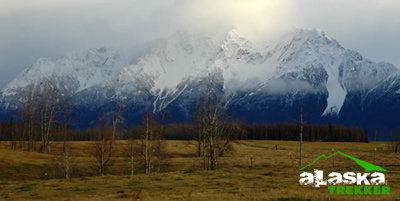 The Matanuska Valley is fertile farmland that was settled by families who came from the Midwest as part of a New Deal relief program in 1935. Because of the fertile farmland and the immense amount of summer sunlight, vegetables grow to incredible sizes. The Alaska record cabbage is 106 pounds! However, huge vegetables are just one of the attractions at the State Fair held in Palmer each August. In the Susitna Valley visitors can explore Wasilla , home of the Iditarod Trail Committee Visitors Center, the unique Museum of Alaska Transportation and Industry, the Knik Museum and Sled Dog Mushers Hall of Fame. A few miles to the west is Big Lake, a popular weekend destination for boating and fishing. Prince William Sound encompasses 10,000 square miles of protected waterways, islands, fjords, as well as 10,000 glaciers. The region offers habitat for whales, porpoise, sea otters, sea lions and seals. Bear, deer, goats and sheep inhabit the mainland. The communities of Whittier, Valdez and Cordova provide access to the area via day cruises, charter boats, flightseeing tours and the state ferry. One of the most famous attractions is Columbia Glacier – four miles wide and over 200 feet high at the face.